Everyday apart from routine chores, I do have some add- ons on my list now..Feeding crows, dogs and cats. Cats joined the list recently.. I do not know what else will join the queue. It is interesting and the morning alarm is blown by the crows. They wait..nay they caw …till I come out of my house..for their feed. But I feel they belong to North India as they are not interested in Idli , dosa, rice etc. They prefer chapathis. Even bread pieces are left untouched. If I leave chapathi bits they just swoop down and finish off in fraction of a second. Bread and dosa are given thorough scrutiny, a peck here and there and is left to dry and it becomes fodder for ants. That way ants too enjoy food. Second on the list are dogs … They prefer something non vegetarian which I cannot provide. So they settle for biscuits or bread. Dogs wag tail …But these dogs, they have forgotten that natural instinct. They just wait for the food minus wagging , eat and leave. Is their love also becoming conditional or does the rumbling in the stomach and rough life they lead on streets making them forget all these? A cat has found my car shed safe shelter for her kitten and a portion of my milk goes to her early morning. the cute kitty sits by her side learning to drink milk. love watching them. Feeding and watching these birds and animals is interesting and relaxing too. Chennai is getting hot and humid and in the coming days she will become hotter and hottest. The heat and humidity is becoming unbearable. But there is something that I love to do during these days. To cool myself and to break the monotony of my daily routine; I just walk up to the beach which is a couple of kilometers from my house. A trip to the beach is rejuvenating. It is like opening a new window everyday, endless sea ahead, the shining white sand ,the blue sky which keeps changing its tone now and then,.the colorful motor boats, ships moored in the deep sea visible as if through a smoke screen and smaller boats plying in shallow waters are always a feast to the eyes. The sound “chundal”…… ( it is snack made of Bengal gram or ground nuts ) pierces the ear when one wants to concentrate on the sound of waves kissing the shore. These small time vendors selling chundal pattani laced with raw minced mangoes try to woo the customers by showing off their container right under your eyes( nose) and many fall for it. 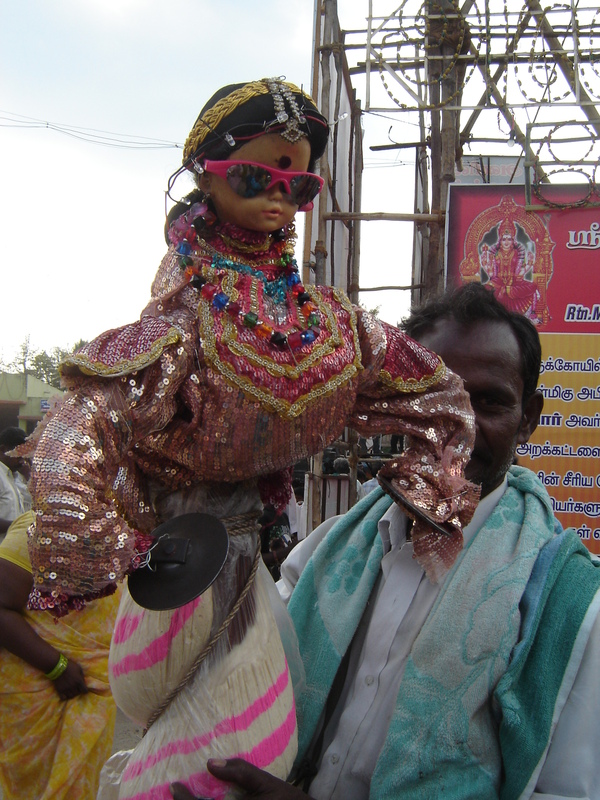 There are also vendors selling murukku and kuzhipaniyarams. Apart from these traditional normal eats there are also the chatpata items like panipuris , chats and the super duper favourite of all . the ice creams . I also fancy watching toddlers and young children playing in the sand and water. Those who are fitness savvy ; old and young , walk, jog or do aerobics. There are quite a few who come to enjoy the evening breeze. One can also see huge dogs, pampered ones brought by their owners for a good exercise. There also dogs of lesser God moving around in search of food or basking in the evening Sun worrying how to get their next meal. On weekends the crowd swells and so do the vendors, Early morning walkers enjoy buying fresh vegetables as the vegetable vendor who frequents the beach gets a captive crowd.. It is good for morning walkers as it saves them a trip to market albeit the prices are slightly high . The beach is small and is frequented by neighbouring people. The resident association takes care of the upkeep of the surrounding areas. Police provide security to the people and it is intensified in the evening when darkness sets in. Shall get some pictures soon . Life is full of surprises. It is never the same. Each day is different and we come across different situations and opportunities. We have to see the opportunities and use it to our best . The same opportunities never knocks again . I was a home maker who chucked up a career to be with her son but when he became independent I started looking for opportunities and indeed got one. It opened a great window where I learnt a lot and I became instrumental in shaping and moulding many youngsters life. I don’t consider myself great, I only worked with passion and dedication..and I interacted with people from my heart and it worked wonders. I travelled to remote places taking my work , worked with rural population and got satisfied seeing the transformation. I travelled about 75000 Kms. in 5 years only by road + some more by rail….. I wanted to slow down and started looking for opportunities again and some other venture opened up. Again heart and soul was put into it and I can see something taking shape….. I believe in this world of abundant opportunities, we should be dynamic, flexible and committed to whatever we do , then success automatically follows. And Success is not always counted how much money one makes at the end of the day. It is much more than that. Life makes us much more wiser and we keep learning. Amma, ” Mani has come”. I called out. Mani gave a broad smile. I was reading the newspaper. Mani was a regular visitor to our house . Amma came out and asked Mani whether he would like to have break fast. ” I just had my fill “. That was a typical answer he would give but when my mother insisted, he ate, that too frugally. Starvation and his ego made his stomach lose its elasticity. He also shared the local gossip along with his breakfast. So he was our ‘breakfast news’. Mani had a scrawny look, he was very handsome , his hair had some silver strands. No one knew about his family. But a very good person at heart, ran errands for my father and for other business people in the town.They tipped him well and Mani was happy. Some days Mani will not enter our house , we could see him running up and down the road with urgency. Those were the days Mani was off his mind.Yes, at times he had problems,those days his mood would swing and it would be days before he entered our house again. He always claimed, he had an aristocratic lineage and always told, his father has left a legacy and he is a shipping magnate.His daily routine included visiting the nearby port and returning with more stories to share about shipment. Heard on the grape vine, that Mani was ditched by his lover and since then he lost his mental balance. Poor Mani, a young energetic fellow whose life came to a naught by some unpleasant incident in his life. I was of marriageable age, He knew about the match making that were going on. “I am going present a diamond necklace”, his eyes twinkled. “C’mon Mani. Where do you have money? I teased. His face became serious. “I have crores tucked away in bank”. For him I was like a sister, may be a solace for him to fill in his lonely and solitary life. “Believe me” . I would bring it for your wedding. Then on wards when ever he came he would make a gesture showing his hand around the neck and he would softly say about the diamond necklace. This was a routine and I was amused. My wedding was fixed and Mani was happy.We were busy with wedding preparations. Mani chipped in with his help and a few days before the wedding as we woke up early morning ,we could see people talking in hushed tones. I sharpened my ears and heard that Mani had woken up early morning and had got in the temple pond for his bath as was his routine but that day as fate would have it, his leg got entangled in the mud and he died . He could not attend my wedding. We were all sad and what a farewell he got for his last journey . Hundreds joined the funeral procession even though he had no kith and kin ,that was Mani, a simple man with a Golden heart who won the heart of others through his innocence. I remember him still.It is difficult to erase him from my mind. Many in my home town would have forgotten him but I cannot. Let his soul rest in peace. I was the only one who was lucky enough to get an offer from him for a diamond necklace. I love sailing in the past and revelling the pleasant experiences of my life. It always brings ,a smile to my lips and lets me float away from the present where I glide like a kite and enjoy the freshness it brings to me. Life teaches us lot of things. I am sharing here, how my education shaped it. It is not about getting degrees and certificates , it opened a new window through which I could look at the world in a different light. Many of the students, I come across today do not know anything about life other than the information from the books. They do lack basic etiquette, do not know how to behave with elders and even to their own peers. It could be my feeling, what you may call as generation gap. But there does exist a great difference . The society that nurtured us was different and today in the highly competitive world we see only rat race, the survival of the fittest ; where the human values go for a sixer. My train of thoughts derailed and here let me steer it on to the track. I passed out with flying colours from college, I had done Home Science for my graduation and Home Management for my PG. Every time, when I mentioned my course to my relatives or acquaintances they used to laugh at me why I was going to college to learn cooking while it could be done at home. That was the kind of awareness people had:( . But that was a myth. I learnt that, it is the best course for any woman as it prepares them for life. We had subjects like human physiology , bacteriology, Economics, Ergnomics, House-planning, Interior decoration, budgeting; so that we can become good finance ministers of our homes, and then Statistics and Research [ I used to feel drowsy in the class 🙂 ] Child development and Child psychology was part of the subjects we learnt and there was a Kintergarten attached to our Home Science lab and we used interact with the little kids there. Textiles and garment making was another subject which was very interesting and we had fun, stitching garments , creating beautiful motifs using embroidery and visiting textile mills. Nutrition and Extension was part of the syllabus too. (Extension-extending or taking what we learn to other sections of the society). We learnt to cook therapeutic diets for patients. It is not only we cooked bland and salt less food ,we also made variety of yummy food which was all ours once the teacher left the lab. The ambiance in our class was fantastic, there were only 21 girls and everyone was so friendly and helpful. Residence stay or cottage stay as it used to be called, was part of our final year project where we stayed for a 5 day duration inside the college campus and played a dual role of taking care of house and attending college. That was to prepare us to manage our time, energy , money well,. It was to make us well organised mangers , and also to teach us to balance duties of home and career. One of our seniors stayed with us and they used to supervise our work. Flow charts, of Time and energy mangement were made by them as we performed our duties and it used to give us creeps. My juniors also would have felt the same as I became their supervisor when I did my PG, got the label that I was very strict 😦 . We enjoyed the entire 5 years in the Home Science lab and it also made us confident and good managers. There was lot of work to be done like seminars , conducting exhibitions in rural and urban areas where we taught the importance of nutritious requirements and suggesting low cost recipes to them. Visiting houses and shops for conducting surveys was also memorable. We were treated to goodies by the lovely home makers when we gate crashed to peep into their beautiful decorated homes. I just loved the entire experience. All my shyness vanished as I was a very reserved person. It changed my perspective towards life. I wish I could go back and have another round of cottage stay. I don’t think no other group would have had the kind of fun we had. Many have influenced my life and I have met many wonderful people during my journey of life and I owe a lot to them. My parents first, then my teachers, my husband dearest, siblings, the society around and friends have made me what ever I am today. When it was my turn to return to the society what I have taken from, I never hesitated and I am playing my role well to the best of my knowledge. I have been interacting with so many people since long and thought I could share some of my experiences here. First, I am going to share my experiences with a little girl who came into my life and how I could influence her. One evening, I heard the door bell ringing in my house continuously. I opened the door and found a girl with doe eyes standing in front with her father beside. Her father spoke. “Teacher, can you give my daughter tuitions?”. “Tutions !!! I exclaimed because I never like coaching youngsters and was not in the habit of taking classes at home. I was associated with various schools then and used to conduct summer camps for children. It was fun time for them and me. I was also in touch with various school counsellors who knew my work well. Then the girl said ‘Miss Lee has sent me’. Lee was my friend and a counsellor of a popular school which I used to frequent. At that time , my phone bell rang. It was Miss Lee on line . She said ” I am sending this girl to you. Please help her, We have just a month before the final exam” . It was the first week of February and I know March is the month of exams for all schools. Lee continued. ‘ this little girl needs help. If she doesn’t get through in English she would be detained. I know only you can do it”. My God, what a situation. My heart started melting at the poor girl who was looking very unhappy. But do I have magic to get this girl pass mark. Some thing inside me prompted to take up the challenge. One month and miles to go. I didn’t even know anything about the girl. I heard that she hadn’t cleared a single paper in English. OMG!! !, give me strength, I thought. I told her father,” this needs lot of work, from her, me and family . I can do it. But there’s a condition. Don’t scold or shout at the girl because she is not scoring marks. See, how you can help her”. I was very sure she was getting lot of dressing down at home. The girl was looking very scared. I said ” see we don’t have time. She has to attend my sessions morning and evening and they agreed. Thus started the marathon of studies. I told her to study the notes and text all by her self and decided to concentrate only on Grammar , if she gets all grammar right she would be able to score 20-25 marks. I taught her and gave her repetitive excercises. I, first fixed a target for her and we decided that it would be 60 marks. I was sure she won’t be able to go beyond that. This girl co-operated well , and as days rolled by she became more cheerful and enthusiastic to learn English. When she came, I would make her repeat the target. I would also pat her back and assure her all would be well. She started enjoying the classes . I also made her repeat at bed time a mantra that “English is more and more interesting for me and I am going to pass”. I knew she didn’t like English because she had never got pass marks in that subject. I wanted her to motivate herself to achieve the results. Days passed…… she wrote her exams. I was sure she would have done well. Results came. I phoned her house , the girl picked up the phone. I asked her “did you pass? Wow! !, great. I was elated but the next sentence shook me. She said “but….. I am detained . What ??? I was shocked . I failed in Maths so the school has detained my promotion”. I was aghast. She came home and broke down. She was weak in Maths too and she was attending a maths tution. H0w she found time for all this I do not know. Probably the negative attitude of the teacher, shattered her confidence. I am not sure but I wished that teacher could have had a better understanding of child psychology than what she showed. She wanted to continue the tutions with me but I organised another one for her as I was averse to it. But luckily for this girl, the school agreed to promote her on one condition that she should leave the school. What a system!!! But the girl was happy, she joined another school and continued her studies with out losing a year. She performed very well in a changed environment. This girl would have grown up now and I hope she is doing well. I shall write similar posts in future , how a small pat, a word of appreciation and a little support can change somebody’s life. To do all this, I don’t think we need to put in great efforts. Only an inclination to share and empathise with others who are facing difficulties. I wish, those who take to teaching would have passion for their jobs and only remember that they are handling delicate children who are our future. Merry Christmas , dear friends. 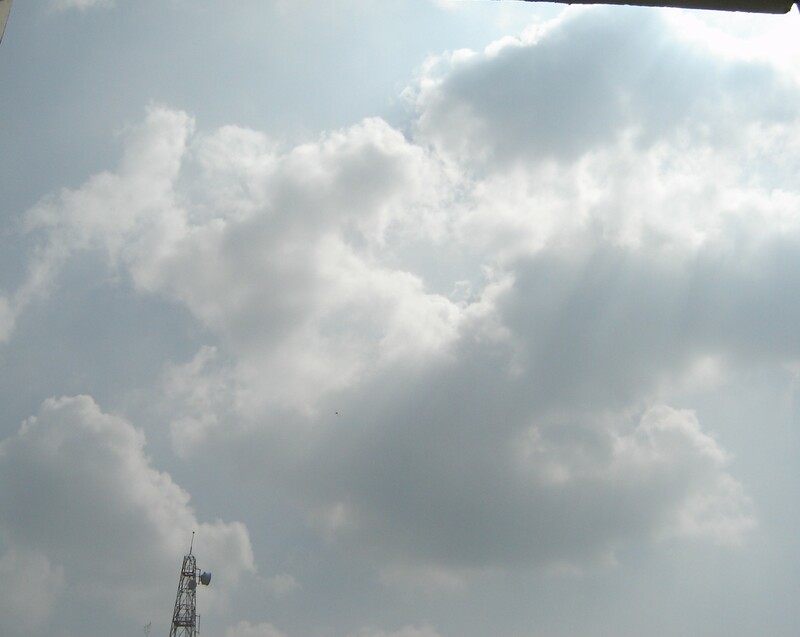 Cloud computing, is a very popular technical phrase you often hear in a group of IT techies but I am no computer whizkid, so I thought I will simply write about Cloud gazing which was my favourite past time. May be some of you would have done it. It is very simple. You don’t need materials or tools for it. Have you not enjoyed this ? Then just pull a chair near the window and look out where you have a good view of the sky. You will be surprised to see the formations of clouds floating by and would be able to spend some magical moments. Clouds, move in clusters or as a small cotton candy ball and some times as dark thick clouds with accompaniments of light and sound and showering the earth with the nectar of life during raining season. 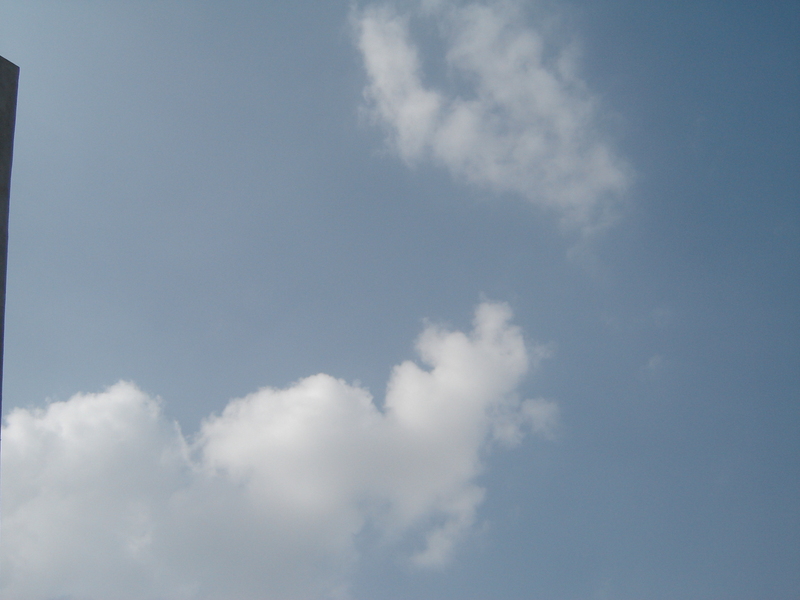 Clouds are classified into various types. Read more by clicking the link. This hobby is very relaxing to the mind and body. You will have a deep sense of harmony with in. When I was young after playing games, my sister and I used to lie on the hard floor of the terrace and would watch the clouds floating by. We had a little kingdom of our own and we fantasized a trip through the sky. In our dream land we met clouds in the form of horses, dragons, elephants, ships , what ever we wanted we found in the sky. It was our world. 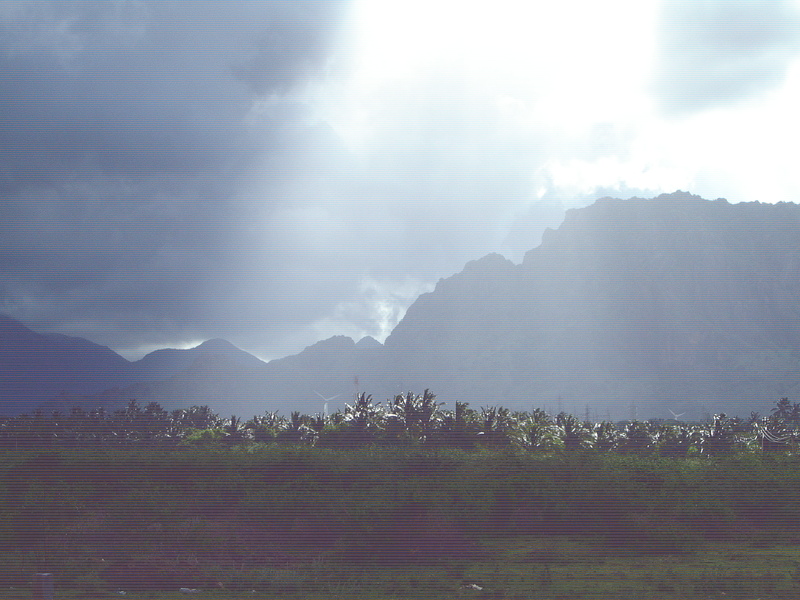 The same clouds morphed into various shapes ,size and at times the sun rays streaming through it lent it a special charm. We sailed and sailed in the sky till the fiery red ball disappeared and the dancing stars appeared in the sky. But my adulthood robbed all that fancy and I became a zombie and got entangled in the mundane affairs . It got rekindled again when an opportunity arose recently and I could enjoy cloud gazing in peace and quiet in a serene atmosphere. Here is what I felt and observed. “I could see clouds floating low and embracing the hills tightening and loosening its grip and floating away again. Are they sharing any secrets I wonder. Has any one heard about the romance between the clouds and the hills . May be the cloud finds a strong and solid partner and for hill ,cloud must be appearing like the light weight beauty who always find solace in its strong grip. 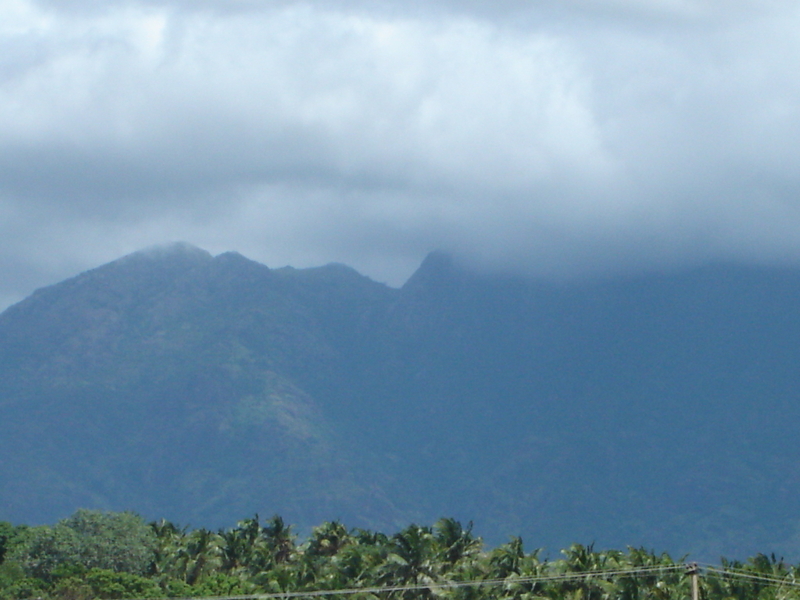 Sometimes clouds just form a cap on the towering hills as if it is the coronation for the mighty mountains. Sometimes completely it hides the hill from others as it doesn’t want others to view. Is the cloud jealous of others? 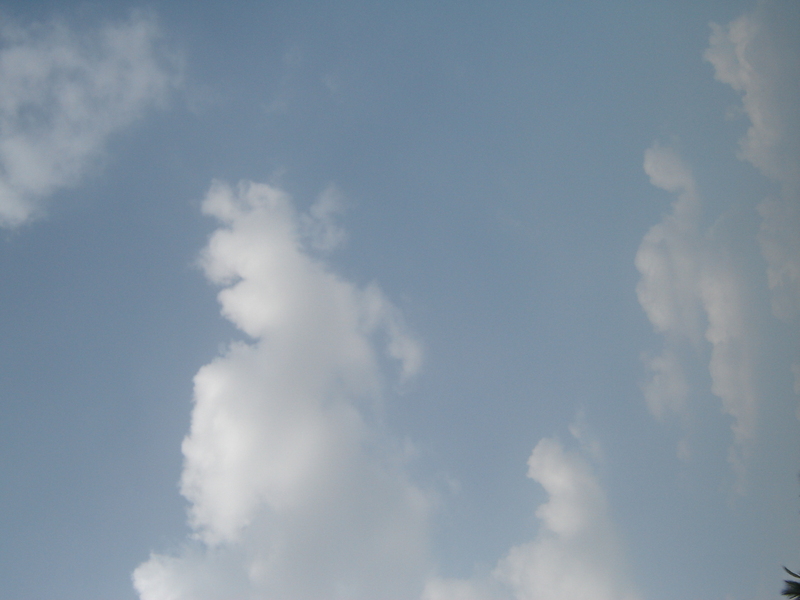 The beautiful relationship, romance between the cloud and the hill would continue……till there is earth , sun and moon”. I had a pleasant experience of walking through a cluster of clouds on the Coaker’s walk in Kodaikanal which is a couple of hour’s drive from my place. I also derived extreme pleasure viewing unending stretch of clouds while travelling by air. Unfortunately on both these occasions I did not have a camera handy and only have to be content with my pleasant memories. But I am sure some of you might have had similar experiences. Head in the clouds-Person having impractical ideas. Every cloud has a silver lining-there is some thing good even in an unpleasant situation. Get your head out of clouds– stop day dreaming. to live in cloud – cuckoo land– to believe that things you want will happen, when really they are impossible. So dear friends how did you find my post? I am on cloud nine , how about you? My series on Goa is not complete but I digress and want to speak about some thing else before I continue my posts on Amchem Goa. Life’s experience itself makes us wiser and each everyday in our life is a challenge and teaches us something new. I am going to share an experience I recently had when I was away from my home town and had to stay in a hotel for few days for my work. Everything was hunky dory till my I met one old day in her mid sixties, in the hotel lobby who introduced herself to me as Dr. Kamala retired professor of English from St. Xaviers, Mumbai. I did not pay much attention to her on the first day as I was tired and was proceeding to my room. Next day morning as I was leaving for work I met this lady again in the lounge. She smiled and I smiled back. As I was waiting for my pick up vehicle this lady started talking to me. First thing she told me was, she lost her young daughter recently, who was working for a popular MNC and she was an alumnus of a top Indian business school. She also added that they had been to Rameshwaram to perform her final obsequies and on their return journey their baggage was stolen in the train. I just commented ‘may be it is a bad phase in your life’ and I moved . She also told me her son is accompanying her and is in the room who was very much dejected. She also said he is working for the second biggest shipping company in the world as a sailor. That evening I was having my dinner in the restaurant . I saw this lady again in company of her son having their dinner at a different table. I just envied their huge order where as I could not even eat more than few morsels to complete my dinner. This lady came and sat opposite to me and started chatting about the nature of my work . Then she started speaking about the training she had in those days and about the pathetic condition of English that is taught in schools. She was so attractively communicating I had no reasons but to believe what ever she said. Her son too joined the conversation soon and when later as I moved to my room they also came along with me. As I was entering my room, he asked if I am interested in a project to teach English for a few Korean ladies who were the spouses of the Port officers of a private sector port in South India. As I am a freelance trainer in Communicative English , I expressed my interest. He said he would put me through to the concerned people to get me an extremely attractive contract with them. Meanwhile I had consulted my spouse to get his confirmation for my project there. We parted to meet next day morning to discuss how to take it further.When I spoke to my son regarding this he suggested though it sounded attractive I should tread with caution. Next morning she took my address and contact details and told me the representative of the company will call me and I would also receive some papers from the company through courier and that I would be required to meet that representative at Chennai. Then after a few minutes this lady came back to my room and asked for Rs. 101 as pichai ( alms to a beggar) which she would offer to the God for her daughter. She spread her hands and said ” Bhavathi Bhiksham Dehi” ( Lady- Give me alms) and I handed over Rs.101 to her. She stressed on Re1 and she said that is how her priest asked her to do. In South India this is a regular custom so it didn’t surprise me . She also said they were returning back that evening. When I came back in the afternoon I found their room was locked and the receptionist told me they had gone out some where and I came back home with out meeting them further. Next day I was surprised when the hotel staff contacted me and enquired if I have any information about this mother-son duo who were in the room adjacent to mine. I enquired the reason for the call and he told me that this duo had slipped away with out settling their hefty bill and the key of their room. They also asked whether I had lost anything . Probably the good will I have generated and blessings of Goddess Durga whom I constantly pray to, saved me from a catastrophe.I am sharing this with all my readers to make them aware that all that glitters is not gold and caution at every step is indeed mandatory if you have to survive in this difficult world. I had written about Perumal the cute little fellow in one of my earlier posts. When I visited Chennai recently I didn’t make up my mind to invite this little fellow home as I was there only for two days and had lot of work on hand. But my luck decided otherwise. I chanced upon Perumal and I was too happy to see him as he was returning from school. Even before I could take in the scene fully, my eyes met another little figure walking behind him and my jaw just touched the floor . Oh my God….. I saw another Perumal, same height, same size, same uniform. My eyes widened but could see the twinkle and smile of my Perumal but still I stopped in my track to find out who the other fellow was. Then Perumal told he is one of the twins. Though Perumal had mentioned about his brother it never struck me that it could be his twin. That was a PLEASANT SURPRISE. Seeing my puzzled look in identifying them, Perumal pointed out a small cut on forehead of other boy and said his name is Kannan Perumal and I was amused – Perumal and Kannan Perumal, nice names to remember. Then Kannan Perumal said that he also wanted to come to our house but Perumal was reluctant to show him the same. Both were vying to get my attention and were trying to impress me about their performance in school. Both were fairing well in their studies. I asked them to meet me next day and got them some biscuits and sweets. We could see they were bare foot and we decided to get footwear for both and got two pairs and waited for them eagerly. But they didn’t turn up. I was sad:-( . Now the foot wear is lying safely packed inside my house . May be I would be able to hand over those things next time. I don’t know why they didn’t turn up. They were very much enthusiastic. Did their parents feel that we were going overboard or have they decided not to take freebies from others. I liked them and was trying to be helpful. May be their pride prevented them from accepting these things or some other engagement would have cropped for those little fellows. But for those answers I will have to wait till my next visit to Chennai. My name is Chegappu Rani. I am the queen of village children. You would find me always surrounded by small kids. They love me. When kids are not around I just clap my hand and chin …chin goes the song from the cymbals I hold in my hand. My master sees that I am always decked up well. As it is very hot and as I spend most of my time outside my master gave me a sun glass also . Am I not cute? . There is a small lever with a rope and my master holds its between his toes and gives a small tug and there I start clapping and children start flocking around and enjoy in amazement. I like to share happiness with one and all. I am very sweet too. The white and pink wrapping you see below is a ribbon candy. City bred children would not have seen this as they know only about Cadburys and lollipops. This is mainly for poor village folks . My master pulls the white and pink ribbons and stretches it and outcomes a piece and he makes wrist watch, wraps it around the smiling little girl or if it is a boy the master’s deft hands works swiftly and Lo!! it turns into a bicycle. Numerous “Sweet” figures and spreading happiness all around that is the master of Chegappu Rani. Children go licking the candy as if they have conquered the whole world. I love all the kids and usually move from place to place sharing love with everyone.